Kerr Contractors of Woodburn, OR has won the contract to build the first phase of the Sunrise JTA Project. The Sunrise Corridor Project will address congestion and safety problems in the OR 212/224 corridor by building a new road from I-205 to 122nd Avenue and improving local roadway connections to the Lawnfield Industrial District. The Oregon 212/224 corridor is one of the busiest freight distribution centers in the state. 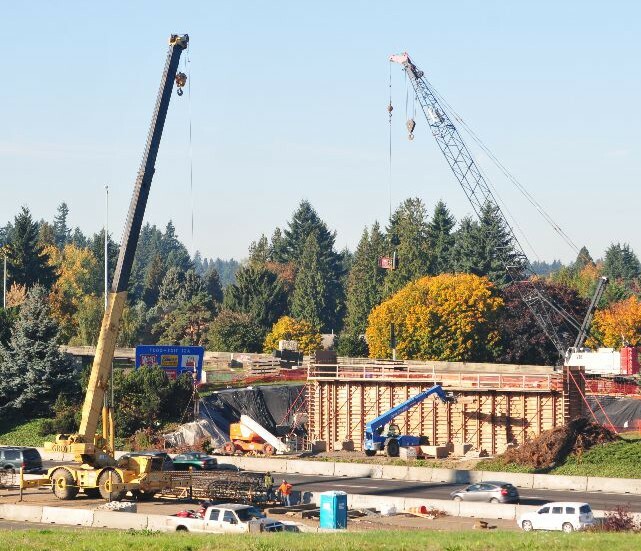 Construction on this project will include: a new two-lane highway (one lane each direction) from the Milwaukie Expressway (OR 224) at I-205 to SE 122nd Avenue at OR 212/224, a new I-205 overcrossing to connect 82nd Drive and 82nd Avenue, bicycle and pedestrian improvements in the area, intersection improvements at SE 122nd Avenue and OR 212/224, improved traffic signals, signing, striping, drainage and water quality.